Copenhagen City Hall (in Danish called Københavns Rådhus) is located in the middle of Copenhagen on the City Hall Square. This building is the headquarter of the municipal council and Lord mayor of Copenhagen municipality. 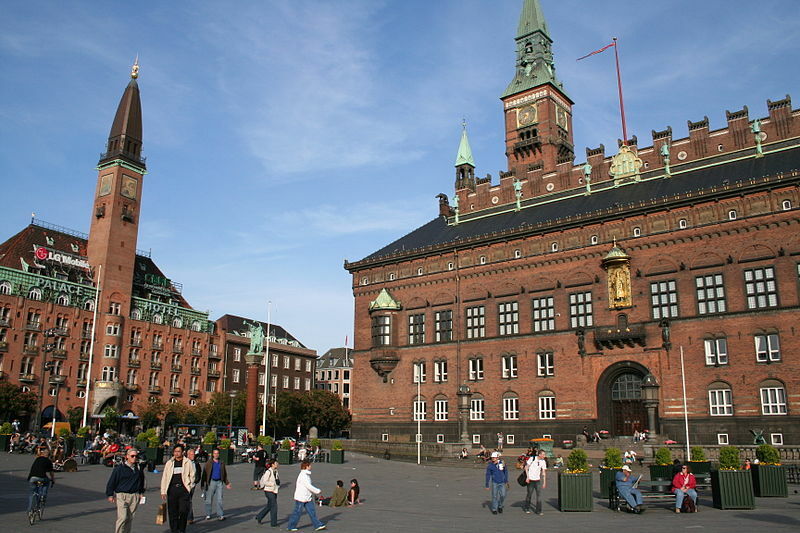 Copenhagen City Hall was designed by architect Martin Nyrop, inspired by Siena City Hall. The construction took 13 years (1892-1905). It is possible to visit the City Hall Tower and take a look on the Copenhagen city from the top. It is almost 106 meters tall and you will have to make about 300 steps to get to the top. You can visit The Tower from Monday to Friday at 11:00 and 14:00, on Saturdays at 12:00. (price DKK 30).